Growing weed indoors is both exciting and rewarding in the case you play your cards right. Are you feeling confused by the multiple guidelines, regarding indoor cannabis growing? Actually, there is no need to become perplexed because things are much easier than they appear to the newbie cannabis cultivators! Just check out the complete list of the top 6 tips we have compiled for you and bring your weed growing game to the next level. Above all, before starting to grow your indoor marijuana plants, you want to pick the most suitable strains for this purpose. Some cannabis varieties will flourish inside much better than others. Nevertheless, taking the time to choose the best strain for your indoor growing setup will allow you to build your entire growing room like a pro. 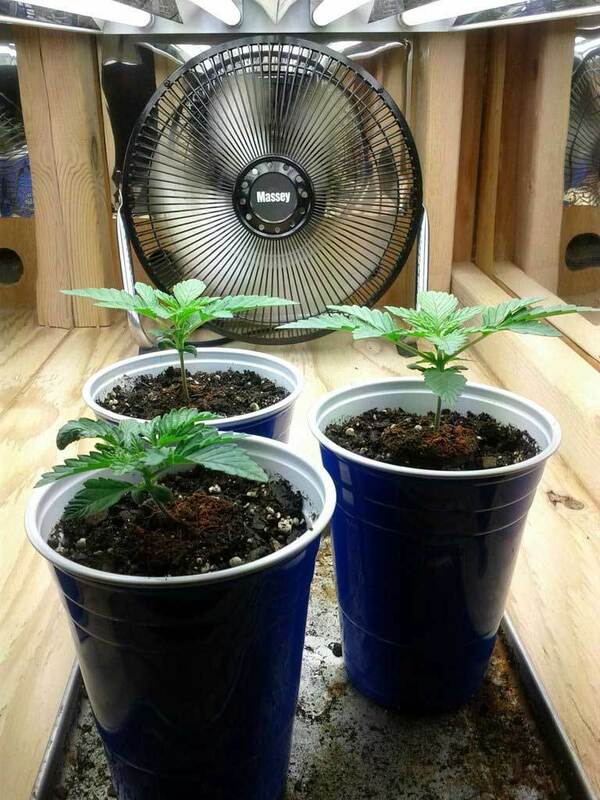 For example, a number of strains tend to grow more bushy than tall and thus, they give you a wider grip on controlling the height of your plants indoors as to ensure light is transferred equally. As a result, you can enjoy those juicy, THC-coated buds we are all craving for! One of the greatest advantages of indoor marijuana growing is the fact that you are in charge of creating the most suitable environment for your green beauties. You do not rely on outside conditions and this is a huge plus, especially if you are not that experienced with cannabis growing. When planning your growing space, first you need to take into consideration the number of plants you are going to take care of. You won’t need an entire room in the case you are opting for less than 5 plants, for example, and thus using a compact grow box or tent can do wonders for you. Light is such a crucial factor when it comes to marijuana growing that choosing and utilizing the best growing lights is one of the aspects you need to plan extremely well. The good news is that once you install your lights and monitor your green beauties regularly, you will be a giant leap ahead in your cannabis growing journey! If you are opting for growing only a few plants, fluorescent lights, and CFLs, in particular, can do a fantastic job. Just make sure you stay away from incandescent lights at any cost (Really, is there anybody who is still going for those?!). 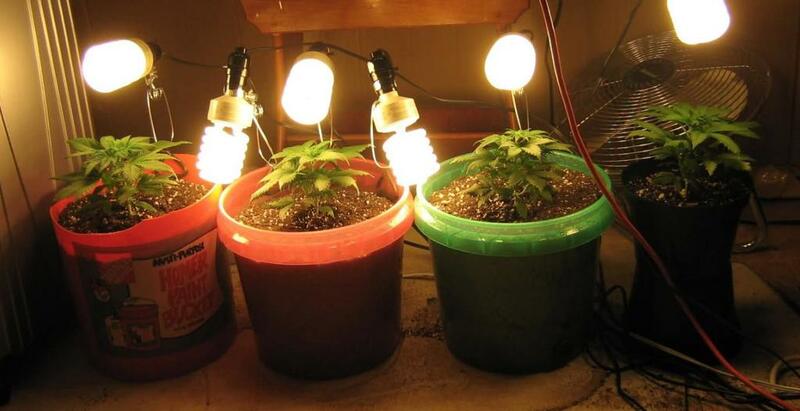 Incandescent lights do not emit the light spectrum which your cannabis plants need to develop. 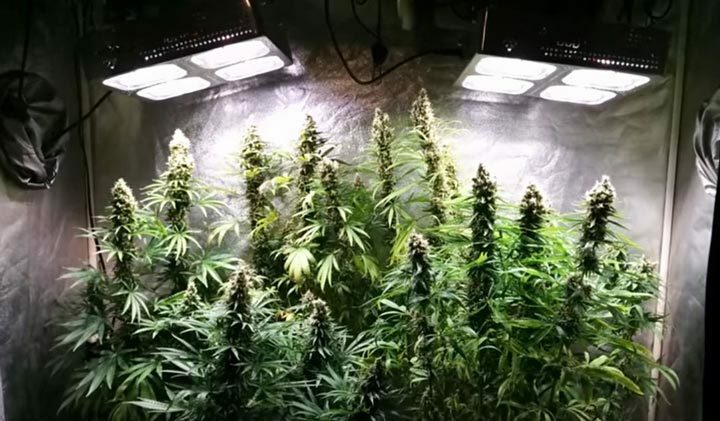 On the other hand, both HID lights (HPS lights in particular) and LED lights are excellent options for growing weed, however, the installation will take a bit more of planning and investing in terms of both money and efforts. Anyway, LED lights will repay your investment due to their low electricity cost and the fact that they do not emit too much heat will allow you to leave your marijuana plants unattended without having to freak out. Yes, marijuana plants will rely on you for supplying them with the proper nutrients. Moreover, most of the novice cannabis growers tend to get almost frustrated about which nutrients they should opt for, when to apply these, and so on. Now let’s cheer up because nutrients are merely an addition. 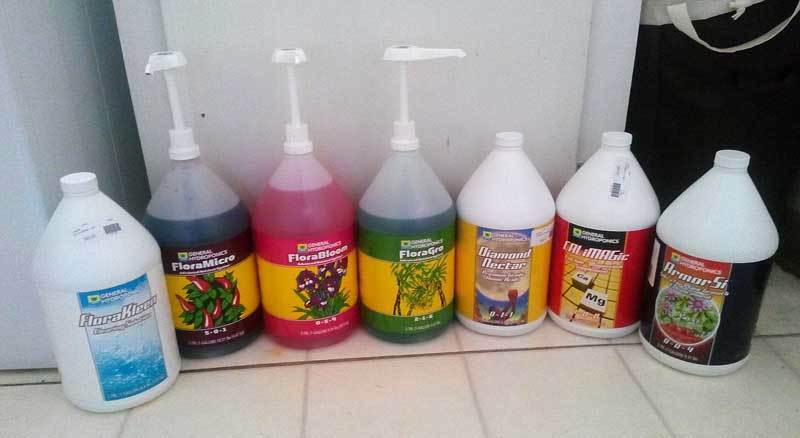 In the case you are growing in soil, then you will have to make sure your growing medium is already nutrient-dense and at the right pH levels. As a rule of thumbs, just remember that you have to be moderate with nutrients. It is better to give your plants a bit less, rather than burning them or causing hard-to-reverse damage due to excessive nutrients. In the case you go for hydroponic growing, then your mission as a marijuana grower becomes even easier! Hydroponic systems will rely solely on your control over the daily nutrient dosage in the nutrient solution and this leaves less place for mistakes because the entire process is simply strict and calculated. Your cannabeauties will thrive as long as you aim for sustaining a constant environment. That rule can’t be truer when it comes to the right temperature and humidity in your growing space. Fortunately, you will need a handful of basic tools which will help you always keep a close and precise monitoring over the growing process. Make sure you have a room thermometer, a pH meter, and a suitable fan to ensure the proper airflow your indoor marijuana garden. A hygrometer can be also very helpful especially if you have more than 5 plants since humidity issues raise with the number of plants you are taking care of. It is very important to understand the difference between the vegetative stage and the flowering stage of your green beauties to ensure the best conditions for growing inside. For example, when your green babies start leafing, you will need some additional Nitrogen, Phosphorus, and Potassium in the form of nutrient supplements at about 20% balance. Opting for suitable pots is also crucial because using the same size growing containers from seedlings is a big No-No. Placing small plants in huge pots will create difficulties for the roots to absorb the nutrients, and vice versa – larger pots will also block the normal transfer of essential elements from the roots to the buds. Growing marijuana indoors should make you feel super confident at the very start of your cannabis cultivation journey since you will be 100% responsible for controlling the most favorable conditions which will allow your green beauties to flourish. Don’t get upset if things are not running as smoothly as you wish. 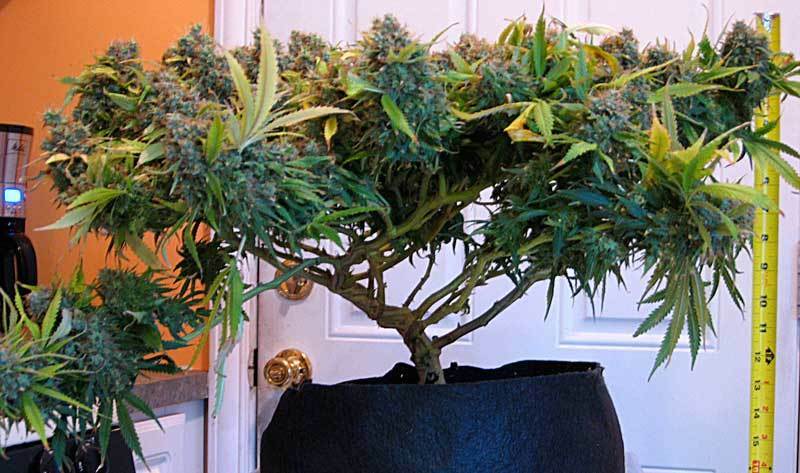 After every trial and error, you will simply become a better marijuana grower!